Previous articles on Clinical Leader have discussed the potential benefits of wearable devices for remote patient monitoring in clinical trials. In addition to possible increases in trial efficiency and reduction of costs, “wearables” have the potential to collect data better reflecting patient functioning and response in the real-world setting. According to the Clinical Trials Transformation Initiative’s Mobile Clinical Trials (MCT) Program, mobile devices, including wearables, offer the opportunity to collect more complete and informative data than ever before.1 Mobile devices may also reduce the patient burden in clinical trials, thus enhancing the patient experience. Companies are exploring the use of wearable devices in the post-marketing setting as well, as a component of patient care. The 21st Century Cures Act acknowledges the promise of mobile technologies and seeks to ensure the development of necessary regulation to allow their use in advancing new therapies and improving patient care. The FDA, led by the Center for Devices and Radiologic Health (CDRH), is working to align its policies with the 21st Century Cures mandates. Because the interest in digital devices, as unique products and combined with drugs and biologics as combination products, has paralleled if not preceded the interest in use of digital devices in clinical trials, CDRH has for many years been on the front lines of responding to the impact of technological changes on medical products. In July 2017, the Center released its Digital Health Innovation Action Plan, committing the FDA to actions that will address barriers to the use of mobile technology in clinical trials.2 The plan outlines the FDA’s intent to update current policies and to issue new guidance to be consistent with and provide clarity on the 21st Century Cures Act software provision. A new guidance interpreting and describing the impact of the medical software provisions of the Act on current FDA policy around mobile medical apps and medical device data systems is due to be released before the end of 2017. As of October, the agency had released a handful of guidances aimed at fostering innovation of medical devices, including digital devices. A final guidance adopting the internationally converged principles of the International Medical Device Regulators Forum (IMDRF) recommendations on clinical evaluation of software used as medical devices (SaMD) is also expected, possibly in 2018. One of the hurdles to overcome before mobile and wearable devices can gain widespread use in clinical trials (and post-market) is ensuring the quality and integrity of the data collected via these tools. In June 2017, the FDA issued a draft guidance titled Use of Electronic Records and Electronic Signatures in Clinical Investigations under 21 CFR Part 11 – Questions and Answers.3 A previous Clinical Leader column, FDA Draft Guidance on Electronic Records and Signatures: The Next Chapter, discussed the guidance’s approach to e-signatures and electronic records. Tucked away in the guidance is a section on the applicability of Part 11 requirements to sponsor-provided and “bring your own” mobile technology, which is defined as mobile platforms, mobile apps, wearable biosensors, and other remote and ingestible sensors, and other portable and implantable electronic devices. The guidance discusses access controls for mobile technology, how to identify the data originator, and where the source data is considered to reside. On the latter issue, the FDA considers source data as that which is first recorded in a permanent manner, such as the sponsor’s electronic data capture (EDC) system or the electronic health record (EHR), not the mobile technology, which is viewed as a temporary storage site. The FDA also considers that the audit trail begins when the data enters the sponsor’s EDC system, which must capture the date and time the data entered the EDC system and the data originator. The mobile technology must ensure security and confidentiality of the data, usually via encryption at rest and in transit. The FDA addresses the analytic aspects of validation, indicating that the sponsor must validate the mobile technology to be “reliably capturing, transmitting, and recording data to produce accurate, reliable, and complete records.” The FDA recommends that sponsors validate the mobile technology before using it in a clinical investigation and that they ensure that the data entering the sponsor’s EDC system remains reliable after device and software updates. Because healthcare decisions that can impact clinical outcomes and patient care increasingly rely on information provided by the output of SaMD, global regulators have recommended that performance metrics for SaMD “have a scientific level of rigor that is commensurate with the risk and impact of the SaMD to demonstrate assurance of safety, effectiveness, and performance.” For clinical investigations, sponsors and regulators want to know not only that the data is being correctly processed to generate accurate, reliable, and precise results (analytic validity), but also that there is a valid clinical association between the data output and the targeted clinical condition. Most importantly, they want to know that the output data achieves the intended purpose in the target population in the context of clinical care (clinical validity). In the Digital Health Innovation Action Plan, the FDA committed to issuing a draft guidance around the aligned IMDRF document but has not yet shared a timetable since the document was finalized. 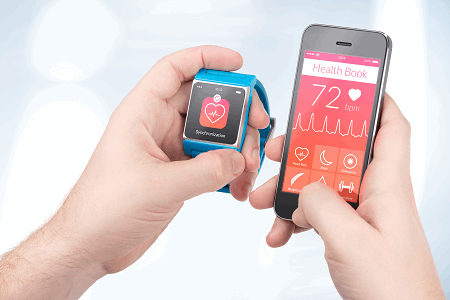 While limited regulatory guidance is currently available, some groups have been working on approaches to assessing the clinical validity of data from wearables with the end goal of establishing meaningful clinical endpoints based on wearable derived data. The Critical Path Institute’s Electronic Patient-Reported Outcome (ePRO) Consortium recently published recommendations on the selection and evaluation of wearable devices and their measurements for use in regulatory trials and to support labeling claims.5 The work establishes a framework for assessing whether a device is suitable (fit for purpose) for measuring a relevant study endpoint. The framework considers three broad factors, including whether there is satisfactory evidence of data validity and reliability to confirm that the device provides the necessary accuracy and precision in measuring the concept of interest. The group makes specific recommendations on appropriate evidence, moving this framework beyond the theoretical and into the realm of practical application. It concludes that there is enough current understanding to support the appropriate use of wearables in clinical studies and expresses hope that the work will catalyze the development of more robust regulatory guidance. It is likely that efforts to reduce barriers to the use of mobile technologies in clinical studies will intensify in the near future. Aside from the potential benefits they may bring to clinical trials, their post-market applications, such as assessment of safety and effectiveness of therapies and improvement of quality of care through data for better patient and shared decision making, are important drivers for adoption of these technologies. The biggest driver of all may be patients, who have embraced mobile technology and expect it to keep improving their lives. Editor’s Note: As this article went to press, two of the expected guidances referenced were released on December 7 by the FDA. The draft guidance Changes to Existing Medical Software Policies Resulting from Section 3060 of the 21st Century Cures Act addresses digital health provisions included in the Cures Act. Specifically, this guidance outlines the FDA’s interpretation of the types of software that are no longer considered medical devices. A final guidance Software as a Medical Device: Clinical Evaluation, in fulfillment of the international harmonization efforts of the IMDRF, was also released. For more information, see the FDA's statement on on advancing new digital health policies to encourage innovation and bring efficiency and modernization to regulation. Debra Michaels, MS, RDN, is a senior scientist for DIA Americas. Her previous experience includes development and utilization of chronic and rare disease registries and clinical data quality management. Debra is on the steering committee for DIA’s Regulatory Submissions, Information, and Document Management Forum (February 5-7) which takes a deeper dive into ways in which the integration of data, documents, and knowledge can be leveraged to develop insights and enable the optimal use of regulatory information through the medical product life cycle.